The Super Eagles of Nigeria have been seeded in Pot 4 of the 2018 FIFA World Cup draw which will hold on Friday, December 1. With Peru completing the line-up for the 32 teams for the 2018 World Cup, FIFA have unveiled the seeding pots for the Final Draw. Playing in Lima, the Peruvians defeated New Zealand 2-0 to pick the last ticket, following a 0-0 stalemate by the two teams in Wellington last week. Russia 2018 will be Peru’s first World Cup since 1982 in Spain. All 32 teams have been drawn into four pots of eight teams each, ahead of the Final Draw at the State Kremlin Palace on Friday, 1st December 2017. Nigeria are in Pot 4 courtesy of their position on the October FIFA Ranking which FIFA used for the allocation of the Pots. On the overall October FIFA Ranking, the Super Eagles are in 41st position. From the 34 teams that qualified for the 2018 World Cup, Nigeria are ranked 22nd from the FIFA Ranking which puts Nigeria in Pot 4. The first eight teams (from the countries going to the World Cup) are placed in Pot 1 followed by the next eight countries. This means that Nigeria will face one of Russia, Germany, Brazil, Portugal, Argentina, Belgium, Poland and France in the Group stage. Host, Russia take the top seeding spot. 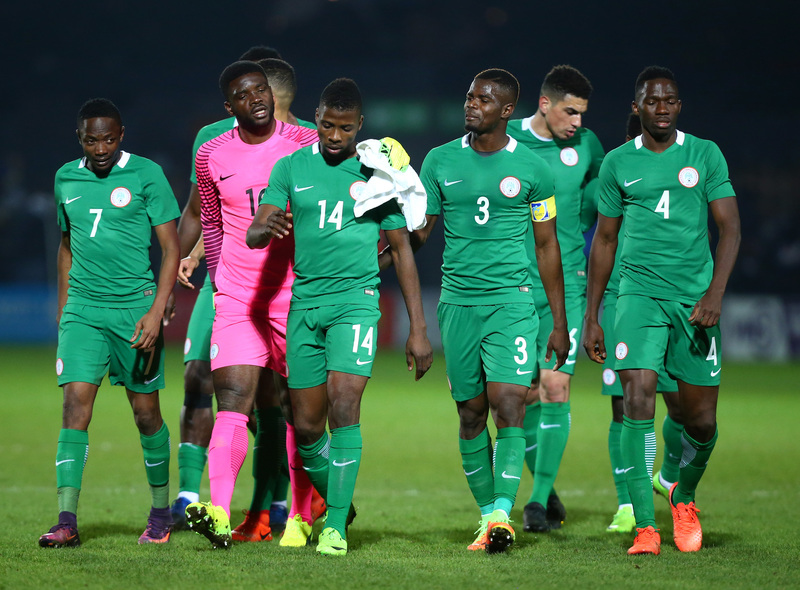 The Super Eagles of Nigeria will not be drawn in the same group with other African countries like Tunisia, Egypt and Senegal in Pot 3. According to FIFA’s principle of drawing the teams into the groups, no teams from the same confederation, with the exception of UEFA, which could have up to two teams in the same group, will be drawn into the same group. The Final Draw will take place in December a at Moscow’s State Kremlin Palace with Pot 1 having Russia, Germany, Brazil, Portugal, Argentina, Belgium, Poland and France. Pot 2 contains Spain, Peru, Switzerland, England, Colombia, Mexico, Uruguay, and Croatia. In Pot 3 are Denmark, Iceland, Costa Rica, Sweden, Tunisia, Egypt, Senegal and Iran while Pot 4 have Serbia, Nigeria, Australia, Japan, Morocco, Panama, Korea Republic, Saudi Arabia. Fowler unveils jerseys for boost project.